Hi my name is Caz and a warm welcome to my website. I am the first to admit I am a fondue fanatic. Fondues have been a huge part of my culinary life ever since I bought my first fondue pot back in the late 1980s. On a cold winter’s night, you can find me preparing a warm and delicious fondue and in the warmer months out on the decking taking advantage of the scrumptious summer fruits and vegetables to create a light and tasty fondue. I find the preparation time for fondue get-togethers so quick and easy and best of all I can focus on spending fun time with my family and friends without being tied to the kitchen. Within my website you will find a few of my favorite fondue recipes to try, a few tips on fondue etiquette, some fondue fun facts, a few dinner party themes to spice up your fondue get-together and my review as to why I think this electric fondue pot is the best choice. 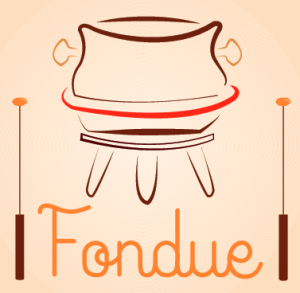 There is also a link showing you where you too can get your own electric fondue pot to start creating your own fondue stories. If you have any questions, please feel free to leave them below and I will be more than happy to assist you.